Mykola Yanovych Azarov (Ukrainian: Мико́ла Я́нович Аза́ров; Russian: Никола́й Я́нович Азaров, Nikolay Yanovich Azarov; né Pakhlo; Cyrillic: Пахло; born 17 December 1947) is a Ukrainian politician who was the Prime Minister of Ukraine from 11 March 2010 to 27 January 2014. He was the First Vice Prime Minister and Finance Minister from 2002 to 2005 and again from 2006 to 2007. Azarov also served ex officio as an acting Prime Minister in the First Yanukovych Government when Viktor Yanukovych ran for president at first and then upon resignation of his government. 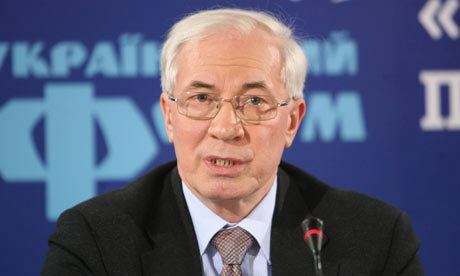 Azarov was born in Kaluga on 17 December 1947 in the Russian SFSR, Soviet Union, to an Estonian father, Jaan Robertovich Pahlo, and a Russian mother, Yekaterina Pavlovna Kvasnikova, as Nikolay Pakhlo. 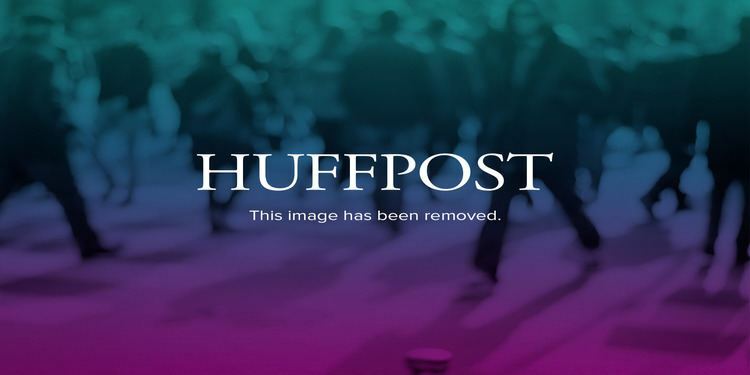 When he married his wife, Lyudmila Azarova, he took her name. Azarov attended the Moscow State University where he earned his doctorate in geology and mineralogy in 1973. He worked at the Tulaugol coal enterprise until 1976. Azarov moved to Donetsk permanently in 1984 to become deputy director of the Ukrainian State Geological Institute, that he went on to head. In 1984–1995 he was a deputy director and director of Ukraine's State Research and Design Institute of Mining Geology and Geomechanics. In 1991 he was hired as a professor at Donetsk National Technical University. In 1994 Azarov was elected member of the Verkhovna Rada (the Ukrainian parliament) for the first time, representing the Petroskiy electoral district, located in the city of Donetsk. In 1995–1997 he served as head of the parliament's Committee on Budgets, while also sitting on the Verkhovna Rada's presidium. In parliament, he belonged to an interregional group of MPs supporting then-President of Ukraine Leonid Kuchma. In 1995, while carrying on as an MP, Azarov was appointed an adviser to the currency council of the Cabinet of Ministers of Ukraine. In 1996 he became Chairman of the State Tax Administration of Ukraine. On August 3, 2015, Azarov announced in Moscow the creation of a "Ukraine Salvation Committee," (Комитет спасения Украины) set up outside Ukraine, seeking to have "all citizens, political parties, labor union and social movements to unite and restore order in our home by joint efforts" and to change Ukraine's leadership. The Russian government says it has nothing to do with what one Russian media outlet calls "Ukraine's government in exile". The committee's chairman and its choice for President of Ukraine is Volodymyr Oliynyk. 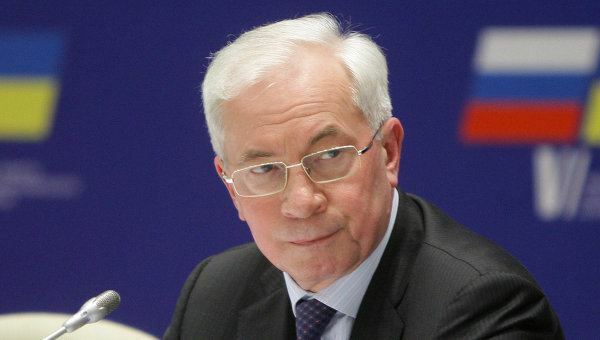 Azarov claimed he could not name all members of the committee because some lived in Ukraine and it would be dangerous to disclose their names. His Russian origin often leads to accusations by Ukrainian nationalists and Western media. Azarov speaks Ukrainian poorly. Nevertheless, he assured his constituents in early March 2010 that his government will be speaking Ukrainian. In April 2011 he also stated: "I feel one hundred percent Ukrainian". In an 11 March 2010 article the UK daily The Guardian labelled him the most Russophile member of the new cabinet. In the same article an anonymous Ukrainian official noted "He's extremely boring and anti-populist". Former Party of Regions member Taras Chornovil has stated that influential Party of Regions member Rinat Akhmetov and the business wing of the Party of Regions are not positive about Azarov. Chornovil claims he heard Akhmetov's associates say about Azarov: "It is better to deal with Tymoshenko; cheaper cost". A November 2010 Razumkov Centre nationwide survey showed that only 13.2 percent of respondents fully support his government while 45 percent stated they didn't.